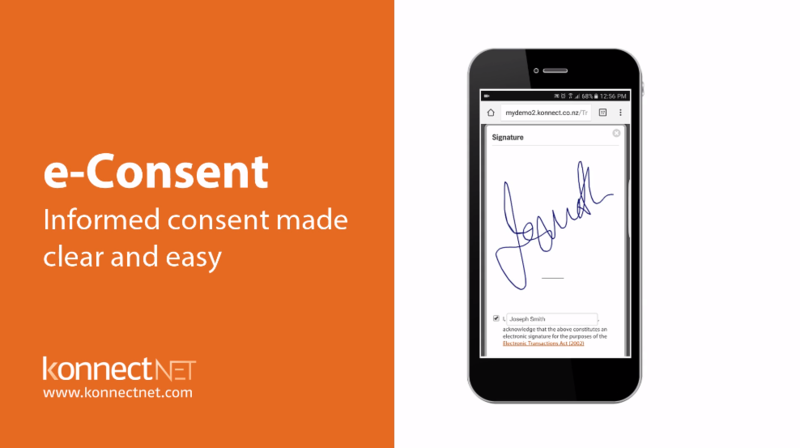 Konnect NET’s e-Consent makes the informed consent process easier and more robust for insurance consumers, health providers, insurers and advisers. More certainty that your customer fully understands what they've consented to. Confirmation of identity through the use of secure tokens and on-device signatures. Full audit trail and record of who did what and when, to provide further robustness to the process. An easier and more modern experience for consumers. 1. Hard-copy consent is slow and burdensome. 2. Some health providers had trouble confirming the customer’s true understanding of what they were consenting to. 3. 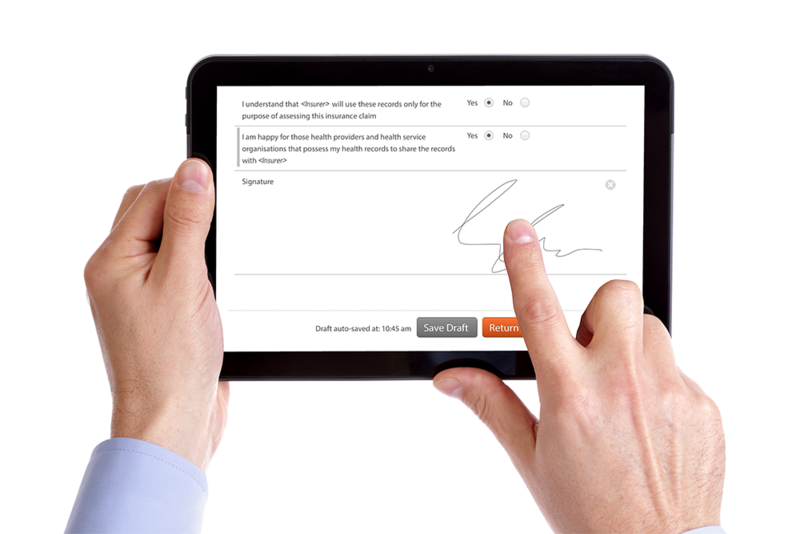 Some health providers have their own additional process to capture consent from their customers. At times this is verbal, undocumented consent which is somewhat risky from a medico-legal perspective. These combined to make a process that can be slow, producing a poor experience for advisers, doctors and insurance customers when applying for insurance cover or making a claim. We took it upon ourselves to create a market standard solution that addresses this issue and that can be used by all insurance companies. At the same time, lending confidence to health providers that their patient has been sufficiently informed. *Please note that a small set-up fee applies if you want to use your own wording. We make health data exchange easy, fast and secure – helping insurers and health professionals deliver great experiences for their customers.